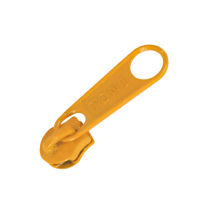 Established in the year 1991 at Delhi, our group known as TONI ZIPPERS is engaged in the manufacturing and supplying of wide range of Zip Fasteners and Zip Sliders under the well established and accepted brand TONI. 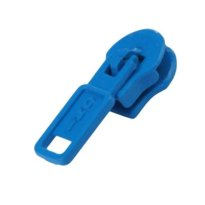 Our range include all types of zippers and zip sliders i.e, CFC,LFC, Vislon, Pastic & Metal and are available in different styles, sizes, finishes and colors. 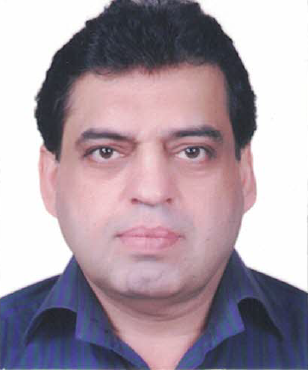 We are led by MR. SANJEEV KALRA and MR. RAJINDER SHARMA whose extensive expertise and experience of 30 years enable us in manufacturing superior quality Zippers. We also have the best experienced team of the industry which helps us to innovate, design and develop the products as per the clients’ requirements. Furthermore, we adhere to strict quality control and prompt delivery of our range of products so as to offer our clients complete satisfaction. Our endeavors towards the product innovation as per the latest trends and fashion in the industry assist us to cater to the major part of the zipper market. 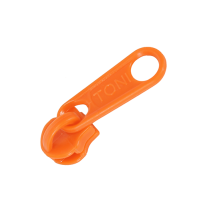 TONI has for long maintained its position as the largest and best manufacturers of zippers and sliders in India and has the largest share in the domestic market as compared to other Indian manufacturers. 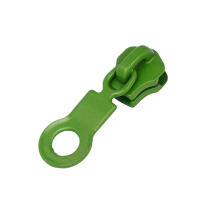 In CFC and Metal Zippers, we have specific quality and tensile test such as chain crosswise strength and reciprocating test cycle. For sliders, we have our in-house production of zinc and it’s tested through Spectrometer to ensure high-quality of raw material is used in manufacturing various designs of sliders. Our mission is to excel at what we do and pursue a path to perfection in our products that will make us world leaders in this segment. Our mission is to serve industry by providing world class products at India prices and put India on the map as a top manufacturing country. 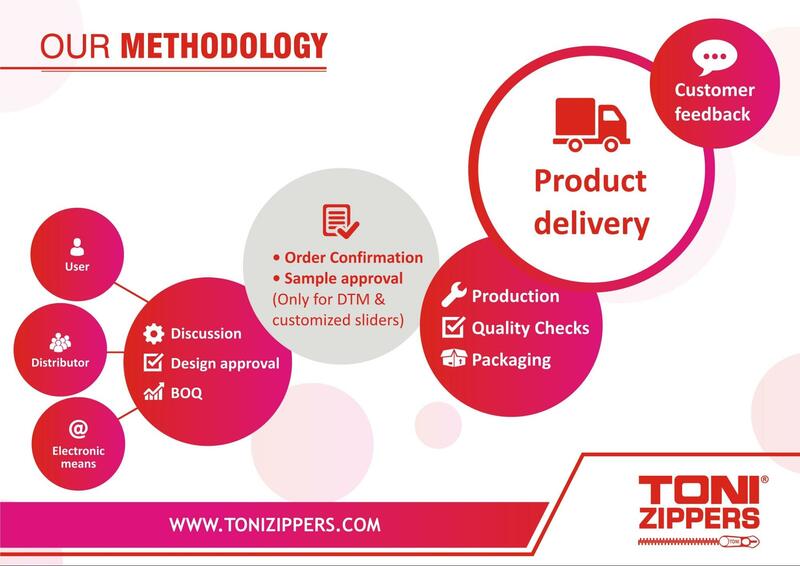 As the largest zipper and slider manufacturing company of India, Toni has grandiose vision of becoming a manufacturer of virtually all kinds of zipper and an industry leader. We dream of a time when we introduce innovative zippers founded on research and contribute to the growth of the Indian apparel and luggage industry. Polylace India Pvt Ltd is equipped with its units at Bawal and Delhi. 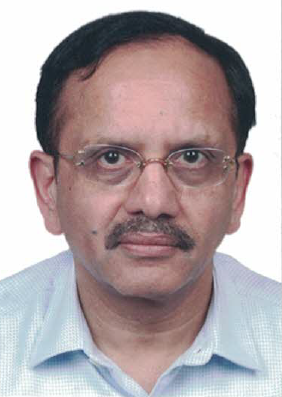 The Bawal unit is spread over 23.5 acres and a constructed area of 4,38,040 square feet. The Bawal unit manufactures only CFC and CH zippers with a unique eco-friendly dyeing unit. The Delhi unit has a built up area of 37,000 square feet and manufactures metal zippers including 4.5 metal zippers. The emphasis is on using the latest modernized equipments to turn out zero defect, world class zippers for quality garment manufacturers. Toni Industries has two units, one at Bawal and the other at Delhi. The Bawal unit is spread over 5 acres with a built up area of 1,47,970 square feet and the Delhi unit has a built up area of 7000 square feet. The Bawal unit manufactures sliders while the Delhi unit functions as a marketing and customer service support unit. The Bawal unit has latest equipments with a high level of automation to ensure consistently high quality, a research unit for constant upgradation and a team of dedicated staff.High volume automated production processes allied with consistent quality practices ensure world class products at Indian prices.